A static field generator with a adjustable output depending on input voltage – maximum output of 15kv DC with 12v DC input. You can buy one of these at PolandsBest. Click Now. And here are more details. Designed and manufactured especially for homemade static grass applicators. 15 kV DC maximum output ensures that you make the most efficient grass applicator. 12 vote DC input so that you do not have to work with 110 V or 220 V power. 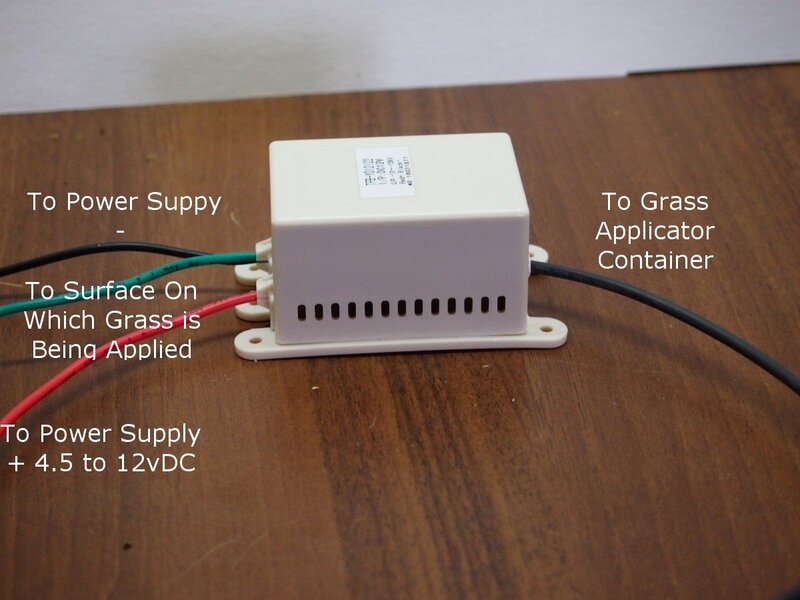 Wiring of the unit is arranged especially for static grass applicator construction. With it you can quickly build a low cost, static grass applicator with a lot of useful working end options. A large number of other negative ion generators are designed to be used in air conditioners, vacuum cleaners and other air purification equipment. This negative ion generato/anion generator, was designed specifically to be used in static grass applicator’s. It can, of course, be used in any other application but its main purpose is to power versatile, quality, static grass applicators. The higher the static field, the more pull there is to make the grass stand up. 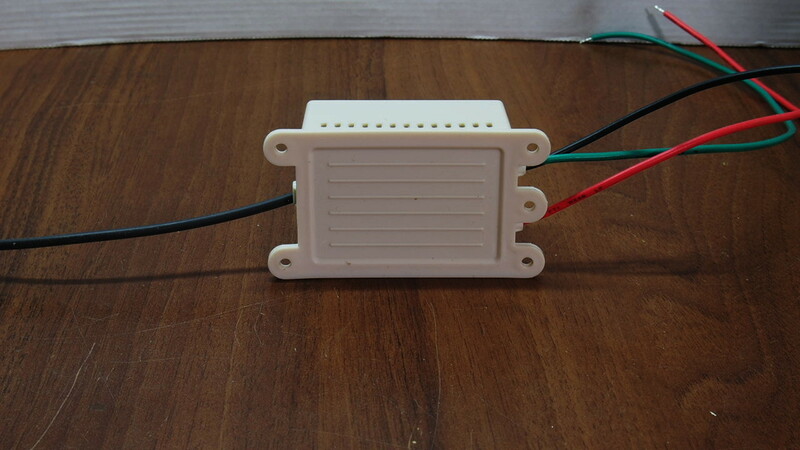 Simply stated, it is better to work with a 12vDC low current source than a 110 or 120 v AC high current source. 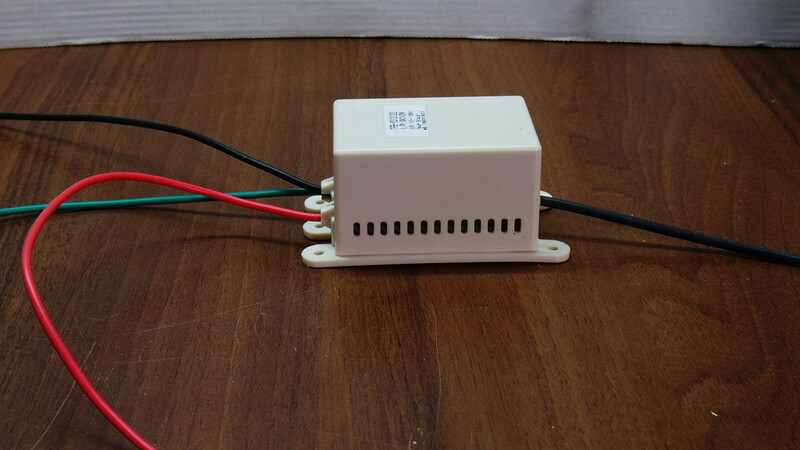 And as a practical matter, 12vDC is all around your layout. You can connect to your power pack, the track, accessory bus, etc..
Whatever is convenient. There is no need to be hauling an extension cord around just so you have 110 or 120 vAC for your static grass applicator. 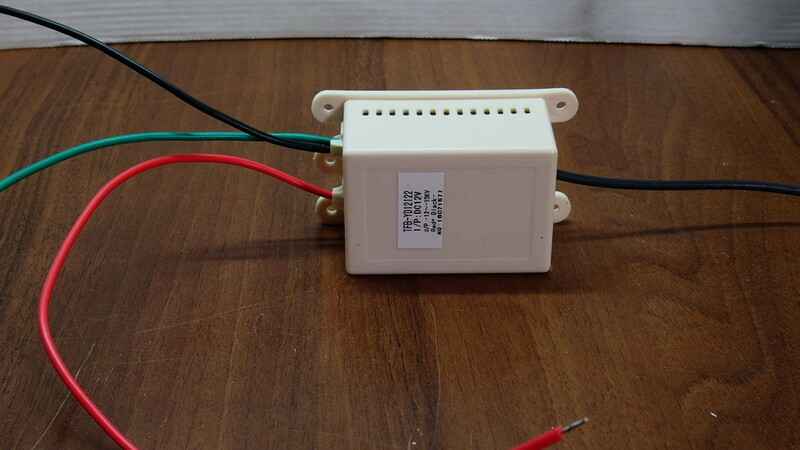 You can use any input voltage from 5vDC to 12vDC. The output will vary from 6kvDC to 15kvDC. The higher the input voltage, the higher the output voltage. Wiring of the unit is organized especially for static grass applicator construction. Most anion generators on the market have two output leads, some with special tips, that are designed for use in air conditioners, vacuum cleaners and the likes. You have to do some modifying to make them useful. 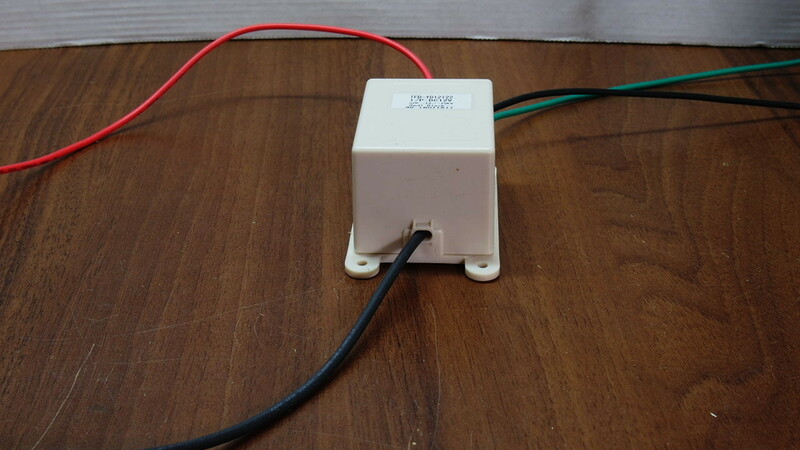 This unit differs in that the wiring is such that there is a single lead on the output side which leads is to be attached to the static grass container. The voltage on that lead is -15 kV DC. There is a green lead that is the ground lead to be used to connect to the surface on which the static grass is being applied. Making such a connection assures full potential and best utilization of the maximum voltage output. That makes the grass stand up very well. The power input leads are separate and distinct. 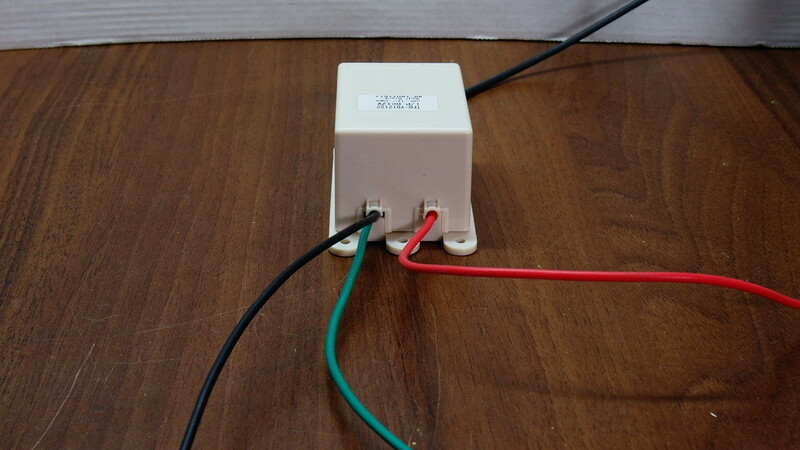 It is very easy to wire your unit. Output: 6kvDC to 15kvDC – Output voltage varies with the input voltage. With a 12vDC input, output is a nominal 12 to 15kv DC. Buy one now and we send to you complete instructions ( in .pdf format ) on how to make a static grass applicator. Included are wiring instructions. With it you can quickly build a low cost, static grass applicator with a lot of useful working end options. If you have any questions or comments, please send us a message.